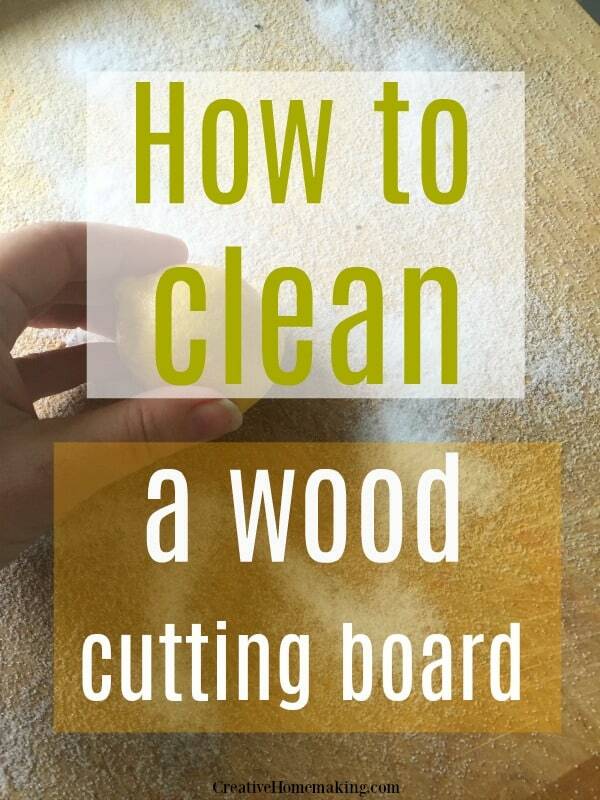 June 16, 2016 0 comments on "How to Clean a Wooden Cutting Board"
I recently ran across this easy tip for cleaning wooden cutting boards and thought I would give it a try. All you need is some table salt and a lemon. First sprinkle a fine layer of salt all over your cutting board. Next cut the lemon in half. Take one half of the lemon and scrub the cutting board with it, cut side down. Let the lemon juice soak into the cutting board. If your lemon doesn’t have a lot of juice in it you can use both pieces of lemon. 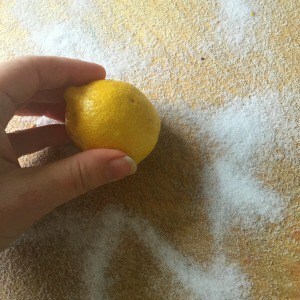 The mixture of salt and lemon juice will do a great job of both cleaning AND sanitizing your cutting board. It gets down into the little cracks to help kill germs. I know my wooden cutting boards get a lot of use, I use them at least once a day, so they get really dirty. Just wiping them off isn’t enough to get them really clean. The lemon and salt did a great job of cleaning. After I scrubbed the board with the lemon I rinsed the board off and dried it. Keep in mind that you should never soak your wooden cutting boards in water or put them in the dishwasher. The wood will absorb too much water and expand, ruining the cutting board. If you are using your wood cutting board to cut raw meat, then it is a good idea to clean the cutting board thoroughly right after you use it. The best way to clean your cutting board after cutting raw meat is to rinse it thoroughly with hot soapy water and then sanitize it with household bleach. When it comes to wood vs. plastic cutting boards, the USDA states that both plastic and wood cutting boards are acceptable as long as you use different cutting boards for meat and vegetables. This prevents cross contamination of foods. This cutting board set comes with four different cutting boards for cutting meat, fish, poultry and vegetables separately. Give your wooden cutting boards a deep cleaning at least once a month, and they will stay much cleaner and last longer! Like these tips? You might also like these tips for cleaning with Mr. Clean Magic Erasers.